Creepy tales of girls whose kisses will kill you. Vampires who are stalking the night. Fairies that want to keep you forever. 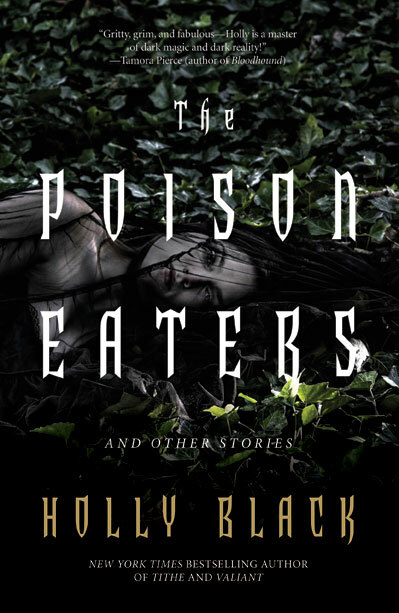 This is a collection you won't want to miss if you're a fan of Holly Black or things that go bump in the night and day. This was a great collection there were only a couple of stories in this that were previously unpublished, but I had not read any of them. It was a real treat. They will all sort of dark, almost spooky tales of all sorts of odd things. I didn't like the story "Virgin," which was too bad because it was about unicorns. I just found it to be a bit hard to follow. I was never really sure what the characters were doing. My three favorite though were "The Night Market," "The Coat of Stars" and "Paper Cuts Scissors." "The Night Market" had a sort of voodoo feel to it. I liked the idea of a fairy in a tree that makes you fall in love with it. It's perfectly mischievous. "The Coat of Stars" was about a boy who's boyfriend got taken by fairies when they were teens. He comes back and makes these beautiful garments to try to entice the fairies into letting his boyfriend go. I thought it was a sweet story and I loved the main character. "Paper Cuts Scissors" I love because I love books, and the Dewey decimal system. In this story, the book characters intermingled within each other's stories, causing all sorts of interesting twists in the classics. The main characters girlfriend has a way of being able to put things in books, and eventually folds herself into one. I loved the whole concept of this story, and would love to see more added to it, or maybe have a short story collection on altered classics. All in all this was a fantastic little collection, and I recommend it highly to fans of the genre and Holly's other work. "Matilda was drunk, but she was always drunk anymore." "'Mayhaps.' Roiben tried not to let anything show on his face." I really love this cover too, it goes along with the title story very well. 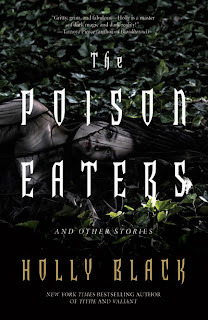 There's a video on youtube of Holly reading from The Poison Eaters here. I have never read anything by Holly Black before. I like the title and cover so I might have to check this out.